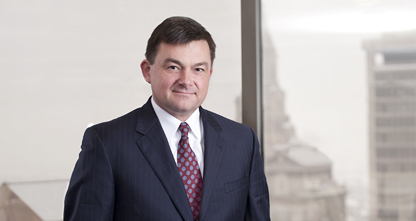 Andy Ryan will be a panelist at the Joint Patent Practice CLE on May 2, 2019 in New York City. His panel will be on patents found invalid under Section 112 for lack of written description and enablement, including the cases D Three Enterprises, LLC V. Sunmodo Corporation et al 2017-1909 et al (Fed. Cir.) May 21, 2018 and Trustees of Boston University v. Everlight Electronics Co., LTD, et al, 2016-2576 (Fed. Cir. July 25, 2018). Also attending the JPPCLE are Leah Reimer, Pam Curbelo, and Anne Barry. Andy is a partner in Cantor Colburn’s Litigation Department and chairs the firm’s Post Grant Practice. He is a trial lawyer with 20 years' experience representing plaintiffs and defendants in patent cases and other intellectual property and complex litigation matters. He also has significant experience in inter partes review (IPR) and other adversarial proceedings in the U.S. Patent and Trademark Office.